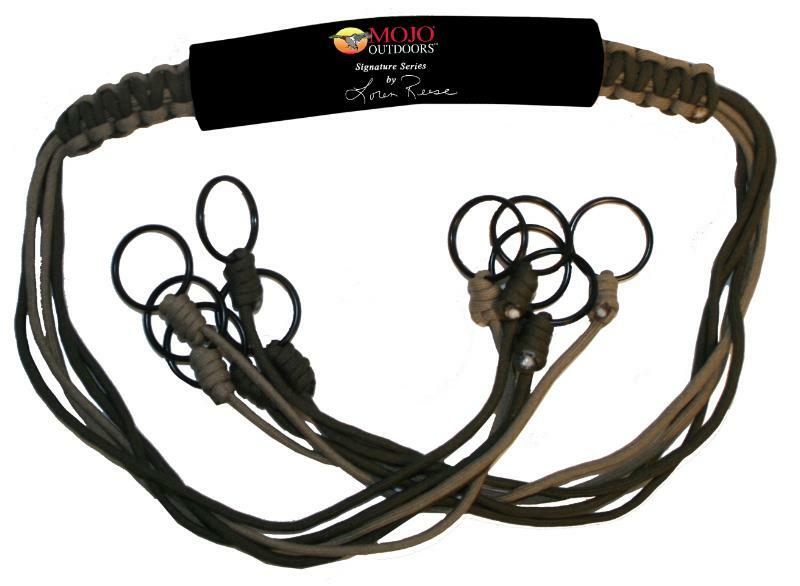 MOJO worked with renowned lanyard designer Loren Reese to develop an extremely durable and useful bird tote. Made of practically indestructible parachute cord that has been braided with 10 drops, each with metal D-rings to carry up to 30 duck size birds or 10 giant geese. Neoprene handle cover for carry comfort. Folds into small space for storage in your bag or pack.